I'm a total history buff and love to discover things about the past. Earlier this year, I did a little historical research on Corona's history. Needless to say, I found some totally cool and interesting facts. 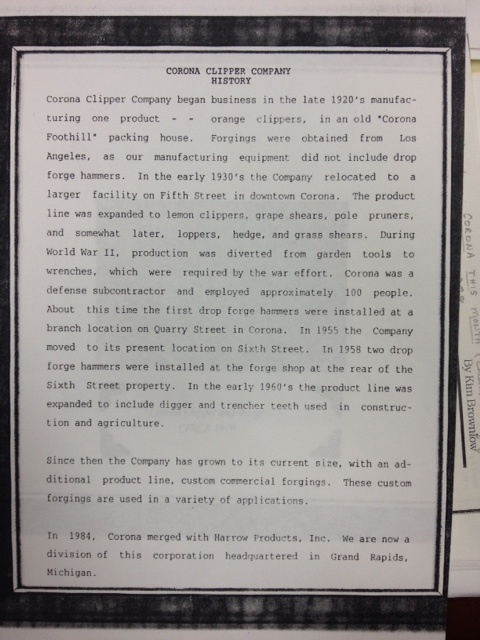 Such as during World War 2, Corona stopped production of garden and landscape tools and began forging wrenches to support the war effort and had 100 people working in the factory. There actually wasn't a lot of information to be had in the Corona library or in historical books from this area. 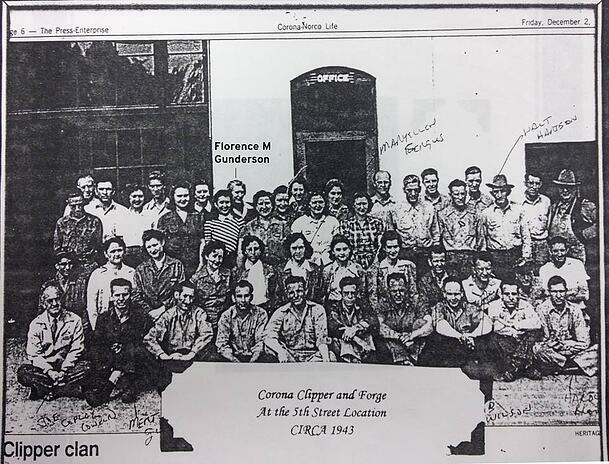 I did come acrosss a company photo of the "Corona Clipper Clan" circa 1943 that was posted in a local newspaper. Someone had written in the names of a few of the people however most were nameless people that help build Corona from its humble beginnings in the citrus industry. Occassionally I do get the priviledge of hearing stories like, "oh my grandfather worked at Corona" and those from Corona team members who have been around for the last 20-30 years. And being on social media sites like Facebook has enabled folks to connect with us and share bits and pieces of our past with us. Like this pin that one of our friends on Facebook sent us. Benjamin Gunderson sent us a picture of a visitor pin he found that was once used at Corona. I asked him if he knew how he came to have it or if there was any story behind it. Apparently he received a collection of his grandfather's pins back in the 90s and said the pin was from 1943. Benjamin asked his family if they had any information on this and sure enough, someone did and he shared it with me. 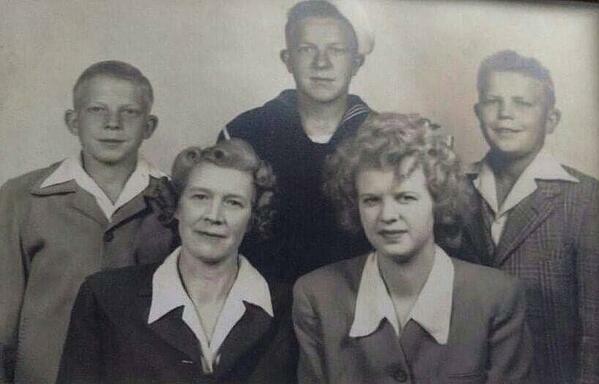 "Granny worked at Corona Clipper in the early early days when all the kids were still at home and in school. When CC was behind where the old Corona Show still is. She used to put the plastic handle grip covers on the clippers. It was hard to do and she would bring them home with her. Your Uncle Phil showed her how to put the grips in water to loosen then them to make them easier to slip on the handles." What a treat to hear what life was like back in the day and how Corona played a part in Benjamin's family. Of course I had to ask him, since the pin was 1943 and the company photo I found was also 1943, if his great grandmother was possibly in the photo. He sent back a reply pointing out his great grandmother, Florence Gunderson (noted in the picute above) and also sent in a family photo of her too (front left). I really don't know what was more exciting, stumbling across a lost peice of Corona history or the fact that it was really made easier thanks to something called Facebook. 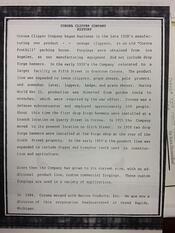 In any case, this story was something that history nuts like me love to come across and helps fill in some of the pieces on how Corona began with one tool in the 1920s to over 400+ tools that we have today. Do you have a connection to Corona's long history? We'd love to hear from you here or any of our social media networks!